EU-DPA, ISO 27001, IT-Act, PCi-DSS, ISAE 3402-3416 when it comes to large data handling, especially when the IT assets are moved internally or externally. With so much of data being generated today worldwide, Data Security has become the biggest challenge. It is a huge task for every enterprise to manage IT asset disposition and verify secured data erasure that adheres to the data erasure policies and regulatory requirements. Data, in an enterprise, travels through many devices. This makes data prone to threat of leakage. Data is required to be handled responsibly and has to be protected against any unwanted leakage. Data Removal by formatting or deleting is not a solution. Some organisations rely on simple techniques of data destruction by deleting and formatting the devices. The organisation is still at risk as the data can be recovered and used easily. Enterprises therefore need to use Secure and Certified Data erasure tools that completely erase data permanently from IT Assets and provides complete security and safety to all the devices that are to be scrapped, reused or reallocated. This reduces the risk as the data is erased beyond recovery. BitRaser, professional data erasure software is the solution. It provides complete safety to organisations and to all its confidential information stored on devices by falling in line with International Laws and Regulations of Sanitization standards. 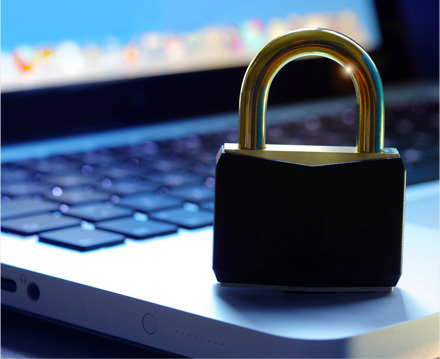 Enterprises are required to meet data privacy and protection guidelines. Compliance to these rules is obligatory to avoid penalties. SOX, HIPAA, GLBA, EU-DPA, ISO 27001, IT-Act, PCi-DSS, ISAE 3402-3416 are a few acts in various countries that govern the data privacy of its citizens and ensures no breach happens that can pose any threat to any individual, organisation or even the country. The enterprises are required to safeguard itself from any negligence while handling or dealing with data and has the obligation to maintain reasonable security practices to avoid any data breach. 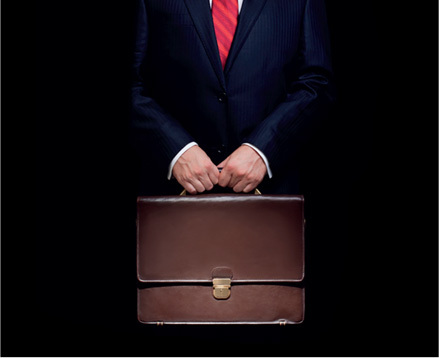 The obligations are under various international laws and company policies to demonstrate strict compliance. 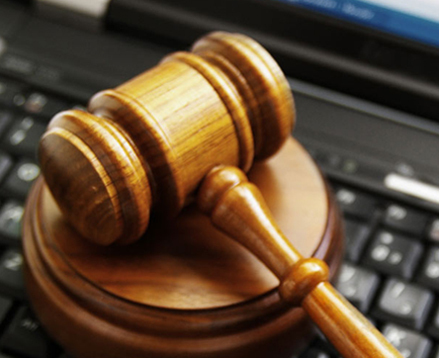 In an event of data compromise the organization and its officers have to face severe financial penalties and risk imprisonment. BitRaser is the Professional Data Erasure Solution for Enterprises to safeguard from risk of data leakage and to meet compliances. BitRaser software erases data beyond recovery, permanently from your hard drives including SSDs. The high-speed erasure software erases up to 32 hard drives simultaneously if deployed on hard drive racks using the standalone version. However, large corporations can use the Enterprise edition of BitRaser software to erase upto 65,000 hard drives simultaneously over a network. The software is scalable and manageable. The erasure is performed using international standards as defined by various bodies like Department of Defence USA (DoD), National Institute of Science and Technology (NIST) USA etc. 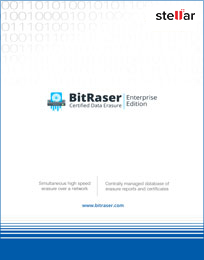 Overall BitRaser meets 24 International Erasure Standards. 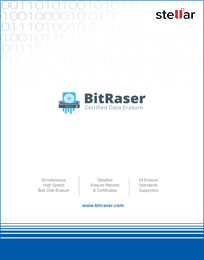 BitRaser helps Enterprises manage the data erasure tasks in the most efficient manner by erasing data using international standards of erasure and generating erasure certificates. Enterprises greatly benefit from the server management console feature of BitRaser where the erasure reports are stored centrally to maintain audit trails. Almost all enterprises require an audit trail that ensures compliance to data security and safety. BitRaser, our certified data erasure software helps both corporations and government entities securely & permanently erase data from all storage devices like SSDs & HDDs in desktops and laptops. The software helps them erase sensitive data in the most efficient, cost-effective, secure, and socially responsible manner at the time of recycling or relocation of IT Asset.